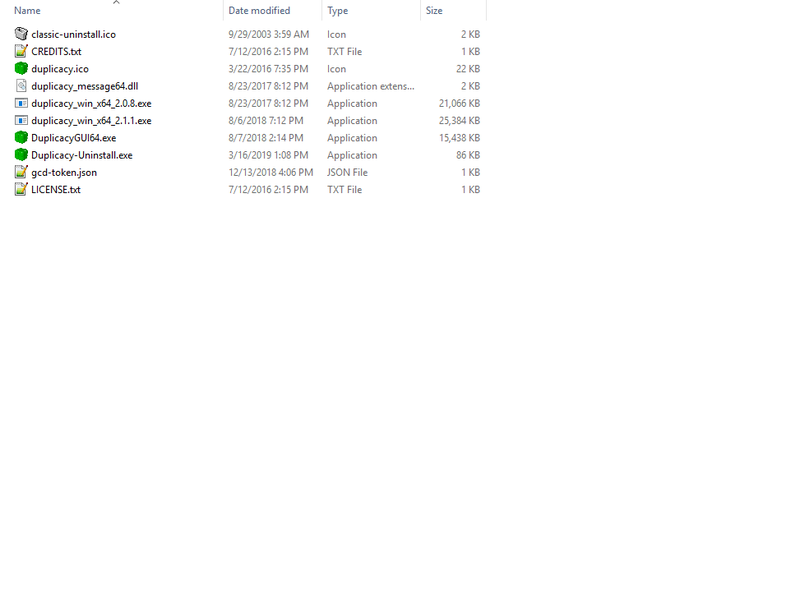 I have installed a newer version of Duplicacy but I still see old files in the program folder. I am 99.999 certain perfectly fine removing the ‘…2.0.8.exe’ file. Can I get a hard confirmation? Also, can I remove any of the other files? Mainly just wanting to do a bit of house cleaning while I am already working all things Duplicacy right now. Another quick question here. I am running Windows 10 64bit. Is there something I should have done differently when installing Duplicacy? For me, “download for windows” button takes the x64 version. i think it’s save to delete the old exe. I could be wrong, but I think the .duplicacy folder is there regardless as the native GUI (not talking about the new web GUI under development) is just a visual front end to the CLI. I am sure you understand that I will want to wait to delete these files until further feedback. Thanks. Yes, you can remove …2.0.8.exe. Or maybe CREDITS.txt and LICENSE.txt if you really want to. All other files are required. This is the side effect of the installer program (NSIS) that Duplicacy uses. The executable is still 64 bit. Thanks for the follow up and answer. I will mark it as such.